Image: Banksy, Dover (2017). WikiMedia/Creative Commons license. How do you analyse a moment, which was part of a process that is about everything, but was reduced to a yes – no decision? The EU referendum vote was both a mass participatory and mass exclusionary moment. This vote, and Brexit as a whole, can be described as a polarising conflict of marginalisations. The conflict exposed by the EU referendum constitutes an important point of entry into addressing the unmet needs and enabling the de-marginalisation of people who have been living violent marginalisation for generations. Following the vote, there was a 100% rise in racist incidents. One in five BAME people in the UK reported being racially abused. This is in a context of police impunity for over 1,500 deaths in custody since 1990 within which BME people are over-represented, and with black people in the UK three times more likely to be arrested than their white counterparts, and 44 times more likely to be detained under the Mental Health Act. Negotiating Brexit cannot be understood as a technical, economic process alone but one of navigating and overcoming the lived experiences of oppression in the UK. In my analysis of Labour’s plans for Brexit, I will look primarily at workplace and immigration policy. I will argue that the implications of a “managed migration” policy – including “employer sponsorship, work permits, visa regulations or a tailored mix of all these which works for the many, not the few” – is contradictory and will ultimately work for the few and not the many. This policy risks reproducing more complex systems of class subordination and fragmentation. Multi-tiered workforces and the creation of multiple statuses with differentiated access to resources and rights put collective bargaining, on a workplace or social level, at a serious practical and moral disadvantage. The consequences of this architecture of multiple marginalisations exists in a context of manufactured resource scarcity. The legacy and perpetuation of these marginalisations in a future climate change context of genuine resource scarcity deserves urgent attention but is outside the scope of this piece. But it should be understood that a Conservative-led Brexit will marginalise the climate crisis – already evident with support for fracking – in the name of a national interest based on a fossil fuel-dependent vision of energy security, endorsed by mainstream trade unions in the name of ‘jobs’. Labour’s vision for Brexit needs to put forward a fundamentally class, community and climate change-based approach that moves away from airport expansion, fracking and fossil fuels. The media-backed right wing Brexit camp stoked the marginalisation of a ‘British public’, a singular identity of British-born and majority white Christian citizens – who had been marginalised by the unaccountable bureaucrats of the EU, who had undermined a sovereign population’s ability to make its own decisions. The enemy was Brussels and immigrants, refugees, sliding to general ‘outsiders’ – Muslim and black and brown communities – competing for scarce resources – jobs, housing, health care, and welfare. ‘Taking back control’ would be empowering, the box to tick to shake the establishment, although in reality the establishment was holding both boxes. Racism, class, poverty and capitalism were marginalised by this discourse. It was a nationalistic narrative promoted by corporate and establishment interests seeking to maintain a system based on a continuing subordination and marginalisation of working class people wherever they come from. The leftist Lexit camp mobilised through the trope of the organised, diverse British working class, with shared interests and history, driving towards a planned, socialist economy. Control ‘over the supply of labour’ was to be a key part of this, and neoliberal trade deals and directives such as the Posted Workers Directive were to be scrapped. The PWD allows companies to employ overseas workers at different rates of pay but not less than the minimum wage in host countries, enabling them to work where wages are higher, but contributing to a divided, multiple-tiered workforce undermining the rights of all workers in the workplace and their capacity to collectively bargain. The Lexit camp characterised the EU as a capitalist club designed to enforce wage restraint, undermine trade unions and prevent the British working class from realising the power to win. Controlling the supply of labour would be necessary to do this. The working class in this conception were framed as British citizens. The marginalised left-wing British working class would need to marginalise the migrant working class in order to achieve its aims. 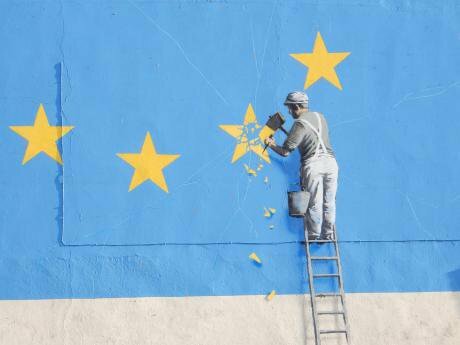 The mainstream Remain camp narrative matched the political representation of the EU by the EU – a community of nations, co-operation and mutual aid. Advocates by turns invoked inter-state solidarity and the benefits of freedom of movement for all citizens. Immigrants were ‘a benefit’ to the economy, mass net contributors, entrepreneurs. The responsibility of the EU in maintaining a disempowered working class, whose freedoms amounted to choosing which country to be exploited in, went unaddressed. The existence of trade deals which sell off public services and assets and the dominant neoliberal economic framework within which ‘development’ would evolve were also unmentioned. The complicity of EU states in permitting the blocking, drowning and incarceration of refugees in camps, rather than allowing them access to the resources and rights that citizens have, helped marginalise migrant, British and non-British working class experiences of exploitation and exclusion. The left wing Remain camp, which included Greece’s former Minister of Finance Yanis Varoufakis, comprised those who saw the choice as a ‘lose-lose’ one. The benefits of being able to move in search of better conditions and work, gaining protection from some of the rulings which have enabled equal pay and a limit to working hours, were seen as a restraint on employer abuses. This position was a defensive one, against the prospect of being at the mercy of a more nationalist British establishment which could take back even more control over working conditions, borders, trade unions, the public sector and trade. This compromise marginalised the potential for breaking up a powerful neoliberal institution, whose existence is actually a driver of the marginalising processes which are being opposed, leading Lexit critics to label Left Remainers as nonsensical and unambitious. These very general descriptions of the way the Brexit debate was framed will in their brevity sideline other positions, but they demonstrate some of the conflicts within attitudes towards Brexit. Understanding more about who voted, how and why is critical. Whilst it hasn’t been possible to quantify the motivations of any group of voters fully, the June 2017 British Social Attitudes Survey, based on interviewing 3,000 people, found nearly three-quarters of those who are “worried about immigration” voted Leave, compared with 36% who did not identify this as a concern. The Leave – Remain divide has been quantified in race, class, age, education and economic income terms, yet the statistics do not cover the experience of those who voted. Leave voters came from areas with the lowest wages in the country and where there was a high proportion of unskilled jobs. Remain areas specialised in jobs with higher pay. According to analysts EMSI, Leave areas have their highest specialisations in industrial jobs, ranging from tool-makers to production line workers; Remain areas have their highest specialisations in creative and professional roles, with arts, advertising and journalism riding high. These are jobs where workers have a high degree of control over their own labour and working day. Two-thirds of those describing themselves as Asian voted Remain, as did 73% of black voters, whilst nearly six in ten of those describing themselves as Christian voted Leave; seven in ten voting Muslims voted to Remain. These figures don’t reveal the conditions working class people of colour experience, with Bangladeshi household incomes £8,900 a year (35%) lower than the white British median and typical black households £5,600 less (22%). These income gaps widen after housing costs are accounted for, given that 58% of white British families own their own home, while only one in four Bangladeshi, black and other white (primarily European) families do. LSE research concluded that a greater pool of migrant labour for employers to exploit does not drive down wages. Pay did fall by 0.7% in some areas, which is not insignificant if you are on a minimal income. It also did not appear to take into account the impact of reduced overtime and hours and intensification of the labour process, or the fact that the floor of wage rights – the minimum wage – is actually a ceiling in many workplaces. This suggests that while a greater pool of workers for managers to choose from may not drive down wages, unorganised workers can be used to keep wages lowhttps://www.labourfreemovement.org/the-posted-workers-directive-a-red-herring/ by undermining collective bargaining in the absence of unionisation drives. The current legislative and contractual framework in which work is organised is more significant in undermining the rights of migrant workers than their origins or language barriers. A recent cleaners’ strike (1) saw agency workers sourced from Norwich and Scotland undermine striking Serco cleaners, showing that workers need not be sourced from overseas to undermine collective bargaining, given the flexibility of contracts and relative impunity of employers. Contrary to the Lexit and Labour argument that constricting the supply of labour is the answer to a lack of organisation in the workplace, a massive investment in organising migrant workers and cracking down on modern slavery from a worker-centred perspective is required. Trade union rhetoric and intention is not matched by the funding and focus needed to do this. Funding education, training and organisers who speak the language of workers from countries of high migration is key, not just to union renewal, but to social change in the UK. An example: the hospitality industry is the fourth biggest employer in the UK (2). It has one of the highest proportions of migrant and BME workers (70%) and the lowest union density in the country – 3.6% (3) and some of the highest incidences of exploitation and discrimination (4). The biggest trade union in the country – Unite – of which I am a member and for whom I worked since 2005 for seven years, has just two full-time organisers in this sector. The London hotel workers branch runs on a shoestring and uses volunteer translators. The helpline for Unite members does not offer advice in languages other than English. We can’t organise complex workplaces on the cheap. The mainstream trade unions are yet to meet the challenge of organising in the most casualised sectors, even if the smaller, more agile, non-bureaucratic unions such as United Voices of the World and the Industrial Workers of Great Britain can. The idea of workplaces with union recognition agreements being the only ones to permit migrant labour – an idea put forward by the Unite General Secretary Len McCluskey and potentially on the table for Labour – should not be confused with union strength and the closed shop. The imposition of these conditions by law risks barring workers from industries and pushing people into undocumented work. To implement union labour only workplaces would need massive enforcement given that workplaces employing migrant labour are not only big agricultural, logistics and processing factories and warehouses, but also small firms, restaurants and hotels. An extension of the minimum wage inspectorate and the Gangmasters and Labour Abuse Authority which is currently playing a policing role in enforcing the ‘hostile environment’ directive would be needed. This approach is not a trade union or worker-led led one to organisation, but one of state enforcement, which could actually result in trade unions playing the role of border guard, restricting access to jobs for fellow workers by visa status and nationality. Already human resource management analysts and corporate lawyers predict a lobbied-for modification of TUPE (Transfer of Undertakings (Protection of Employment)) legislation to allow for ‘harmonisation’ of terms and conditions between workers transferring from one employer to another. This is expected to follow a wage suppression trend. Others are arguing that TUPE should not apply to small and medium enterprises. These can easily be created through the current lax agency laws which allow companies to fold and resurface with the same staff, offices and directors but without liabilities for the workers they just decided not to pay, leading to even fewer rights for agency workers. UK case law, such as the recent victories by Unison on scrapping tribunal fees and the right for workers in union-recognised workplaces to be consulted over contractual changes, is not expected to be impacted but caps in equality case compensation, and changes to sick pay and holiday rights are being lobbied for. Labour’s proposed repeal of the dozen or more Conservative legal instruments designed to restrict and criminalise trade union activity also needs to be accompanied by a trade union education programme delivered through schools, colleges, Labour and Momentum media and trade unions to encourage and normalise union organising as common sense. Sanctions against employers who violate workers’ rights need to be substantial enough to act as a deterrent to current practices of victimise first, pay later. Focusing on restricting freedom of movement, rather than employer impunity, marginalises the responsibility of businesses which treat all workers as expendable. Capital is attempting to colonise resources for social reproduction by restricting migrants’ access to services before coming for ‘us’. The Immigration Act creates conditions for future privatisation of not only our public services, but public life and rights to a commons. Landlords are demanding passport checks in order to rent property (5). Property, even temporary, is defined by the Government as a prerequisite for accessing treaty rights (right to residency) – for some time, rough-sleeping EU nationals have been being seized from the streets by Immigration Enforcement Teams (with the help of charities), locked in detention centres and deported. This process was successfully taken to judicial review, thanks to activists and pro-bono lawyers with North East London Migrant Action. The Department for Education’s gathering of nationality and birthplace data in the school census is to be shared with the Home Office in order to target families for deportation, effectively making the right to free education conditional on status. Access to free health care has been axed for migrants – with proof of identity increasingly sought by medics. Now both a private insurance and payment system has been established which can be extended to citizens in future. Racial profiling is an inherent part of this process leading to an escalation of racist othering in schools, clinics, by landlords, the mainstream media and on the streets. At the last count, the UK had 34 different types of visa in operation (6). Even if you are an ‘exceptional talent’ in science, humanities, etc., and wish to realise your potential in the UK, you need exceptionally large sums of cash. The application will cost you £292, unrefundable if rejected, and a further £293 if accepted. ‘Barista Visas’ (based on current two-year Youth Mobility Visas), ‘London Visas’ (for Square Mile financial sector employees), ‘Brickie Visas’ (a three-year points-based visa), and seasonal, sectoral, regional (Australia and Canada have them), age and occupational points-based schemes have all been suggested as methods of managing migration by the Government’s Migrant Advisory Committee. Access to any state welfare support will be axed. Replacing migrant workers with machines has also been suggested as an alternative to plugging the skills gap (7). New visas, statuses and forms of sponsorship will create new markets of labour purchase for employers – possibly jointly brokered by trade unions – and new markets for visa trading, people trafficking and further exploitation of undocumented workers. During the passage of the Modern Slavery Act, the Government slashed the rights of victims to recover unpaid wages to just two years. According to the Anti-Trafficking and Labour Exploitation Unit, if the UK leaves the EU it will be far more difficult to challenge this restriction and if the Human Rights Act is scrapped, it may be impossible. Germany, and Denmark with the agreement of Danish trade unions, have applied differential status for refugees within the labour market and lower wages – one euro per hour in the case of one German work programme – in workfare-style bonded apprenticeships, tying workers to employer-registered accommodation and sponsorship. Devaluing the price of labour undermines the rights of people seeking refuge and collective strength and bargaining. Labour’s ‘managed migration’ should not follow this divisive route. Restricting access to healthcare, education, welfare, work, equal rights, property and representation for millions of people living in the UK signals a new round of marginalisation, and an intensification of the class system, leading to a form of social death for non-citizens. The devaluation of black lives in the UK to the point that they are expendable and the continuing denial of this crisis correspond with an ongoing colonial process by capital of resource extraction and accumulation which deny life and designate entire habitats as sacrifice zones. These can be regions in the global south or they can be in the UK, including in the most unequal and expensive borough in the capital – the Royal Borough of Kensington and Chelsea. What has the Grenfell catastrophe to do with Brexit? It represents the consequence of multiple marginalisations – by those with drastically more power and privilege, wealth, whiteness, qualifications, confidence and freedom of movement, possessed by council leaders, decision-makers, developers, landlords, employers, media commentators, the newspaper editors who sanctioned ridicule and smear stories – marginalising the economic and social factors which led to the catastrophe – all pushing millions of people to the margins, which in the case of Grenfell Tower, led to their deaths. Researching this piece, I kept noticing how online searches consistently reproduced the voices of those who were already empowered. The representational universe on Brexit is highly mediated. Momentum-related activists put on a series of events in split Leave and Remain cities under the banner of ‘Take Back Control’ to bring together Leave and Remain voters and try to process some of the dynamics which informed people’s fears and desires. Whilst they tended to attract mostly politicised left-wing Remain voters, the events, with their conflict-welcoming opening sessions, were still a model for engaging people from across the vote divide. Momentum organised dozens of Bernie Sanders’ Get Out the Vote campaign-inspired training sessions in doorstep election canvassing. These enabled a break with mediated communication into mass face-to-face outreach. Hundreds queued on Friday evenings in central London to train and thousands took part in nationwide sessions, basically on how to speak to each other. This helped transform the election campaign in its directness, unpredictability and de-centering of already privileged opinions and voices. A similar process should explore some of the drivers of the Brexit vote – Leave or Remain and the changes that are trying to emerge through it. Conversations, not mediated by commentators with massive media platforms, are going to be experienced face-to-face. A deep democratic understanding of the ways we have come to marginalise and be marginalised, within our relationships, our workplaces, our communities and ourselves needs to happen. The role of Labour and Momentum activists and leaders should be to develop the Labour manifesto as a guide for a participatory Brexit policy, explored through conflict facilitation across the country, fostering well-facilitated meetings where conflict is not suppressed or ‘resolved’ but processed, and where marginalising power is named and understood. Brexit is a conflict of marginalisations, deliberately polarised by the yes-no question and the framing of the idea of ‘taking our country back’ by powerful elites. Negotiations which “seek to unite the country around a Brexit deal that works for every community in Britain” need to involve everyone. Despite its current elite unaccountability, Brexit can be reclaimed at a grassroots level, as an entrance into a new political understanding, process and polity. (2) Oxford Economics for the British Hospitality Association, The Economic Contribution of the UK Hospitality Industry, September 2015. (3) Williams, Steve, Introducing Employment Relations, Third Edition, Oxford University Press, 2014. (5) UK Home Office, Residential tenancies provisions of the Immigration Act 2014 (Right to Rent). (6) UK Home Office, Home Office Immigration and Nationality Charges, April 2017. (7) UK Home Office, Migration Advisory Committee, EEA Workers in the UK Labour Market – A briefing note to accompany the call for evidence, August 4th 2017.